It’s time to take your home entertainment audio to the next level with this stunning Anker SoundCore Infini soundbar. 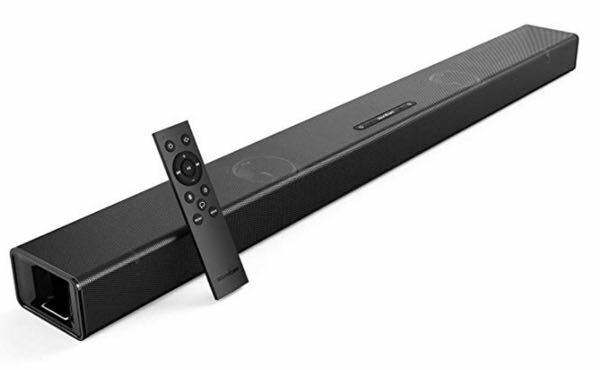 This powerful soundbar pumps out 100W of audio power and will be a perfect accompaniment for your home-based cinematic efforts. This product probably isn’t going to add value to a home that already has a sophisticated audio and visual setup but it will be a perfect accessory for the average home that wants to ensure that their audio is as good as it can be without parting with a large amount of money. It also benefits from the fact that it is easy to set up, doesn’t require any intricate technical knowledge, and should fit in with any decor due to its sleek design. This deal is going to get you 35-inches of SoundCore goodness. It comes with two tweeters, subwoofers, and bass ports which are capable of fuelling 100W of audio output. It also offers exclusive BassUp technology that is designed to create a deeper, intensified bass that is designed to entirely immerse the homeowner in stunning rich audio. 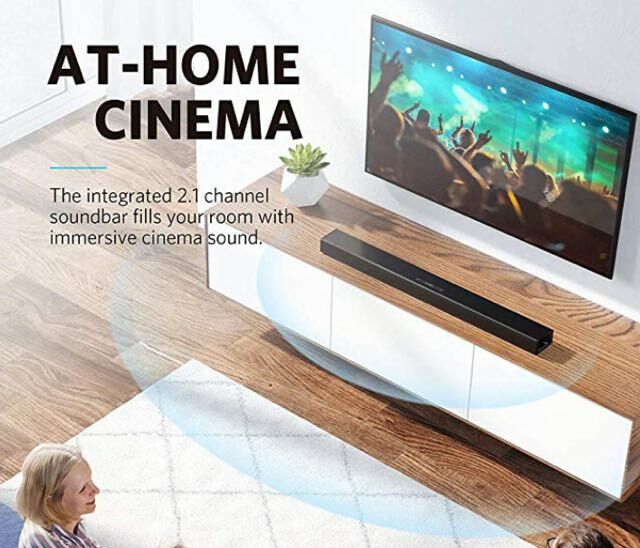 The SoundCore Infini also comes with an interesting deadline to ensure that the same sound quality is adhered to and delivered regardless of whether the Infini is placed in front of the television or if it’s mounted on the wall. It comes with various modes, including Movie Mode, Music Mode, and Dialogue Mode, and offers a slim 2.2-inch design that should fit comfortably in any area. It also offers various input options that allow it to connect to your TV or other devices using an optical, digital coaxial, Bluetooth or AUX connection. It comes with remote and built-in buttons to ensure that the user has multiple ways of interacting with the device. So, basically, this is a powerful and highly sophisticated piece of kit that is going to give you the audio that you deserve in your home. If you are interested in this hardware then you should definitely act right now whilst there is still a large discount being applied to it. Everything you need is in the direct product link below.